SpaceClaim has formed strategic partnerships with the following technology partners to enhance the company’s 3D Direct Modeling software solution. Go to our Partner Page For more information on the SpaceClaim Partners Program. 3Dconnexion's line of 3D navigation devices allow you to fly through three-dimensional worlds or manipulate 3D objects with an agility and precision unachievable with a mouse and keyboard. Simultaneously pan, zoom, and rotate 3D images without repeatedly stopping to change directions. The SpaceClaim product family supports all 3Dconnexion navigation devices. AMC Bridge is an authorized SpaceClaim technology partner, who works with many of our OEM and Solution partners in developing SpaceClaim-oriented solutions. 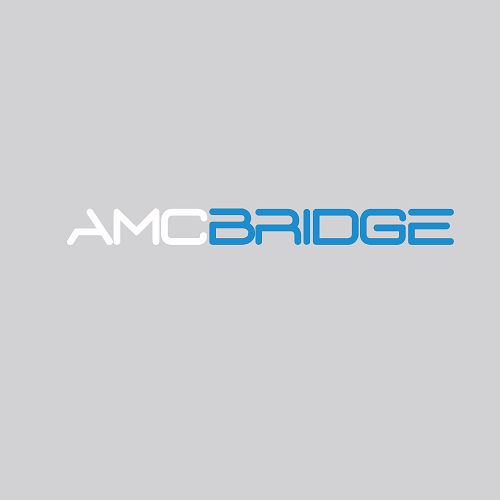 As a leading provider of software development services in the areas of computer aided design, engineering and manufacturing, AMC Bridge delivers solutions for CAD, CAE, CAM, PDM and PLM applications. Clients benefit from expertise in the fields of mathematical modeling, analytical geometry, 3D graphics, finite elements and structural analysis, as well as data and process management. AMD FirePro™ workstation graphics products are high quality graphics cards infused with leading edge technology designed to help engineers and designers innovate and extend their workflow for maximum productivity. Comprehensively certified and optimized for SpaceClaim 3D Direct Modeling, AMD FirePro™ graphics cards are designed for professionals. With advanced technologies delivering outstanding performance and productivity, AMD FirePro™ is the engineer’s choice for graphics acceleration hardware. Since the company’s founding in 2005, SpaceClaim has been committed to Microsoft’s technology. By working in the Microsoft development environment, SpaceClaim developers are able to focus on what they do best: driving 3D design innovation by creating fast, flexible, and intuitive direct modelers for engineers and industrial designers. Polygonica is a solid modeling software toolkit for processing polygon meshes. Built on MachineWorks' core engines, Polygonica's unique polygonal modeling technology takes advantage of 20 years of development providing automatic, fast and robust Boolean operations. SpaceClaim combines their solid modeling with Polygonica's mesh editing capabilities resulting in faster mesh editing tools. NVIDIA awakened the world to the power of computer graphics when it invented the GPU in 1999. In the early 2000s, the invention of a programmable processor expanded NVIDIA's reach into professional graphics. The majority of the world's cars and planes, as well as a host of consumer products like tennis shoes and shampoo bottles, are designed using Quadro solutions. SpaceClaim and Quadro deliver solutions enabling engineers to leverage 3D design to innovate, win more business, and get products to market faster. Siemens PLM Software is a leader in providing software developers a world-class, market leading portfolio of PLM Components designed to be integrated quickly into modeling, simulation and manufacturing applications across a wide range of industries. SpaceClaim utilizes Parasolid®, the industry standard in global product design and is a member of the JT Open Program, providing JT interoperability for 3D visualization, collaboration and data sharing through integration of the Siemens PLM JT Toolkit. Spatial Corp. is a market-leading provider of world-class 3D software component technologies. SpaceClaim utilizes many of Spatial 3D components including 3D ACIS® Modeler for geometry creation & modification and 3D InterOp Translators for data exchange capabilities. SYCODE specializes in developing cutting edge add-in modules for all major CAD systems, including SpaceClaim. SYCODE uses its CAD data exchange technologies to offer SpaceClaim customers add-ins that extend SpaceClaim's ability to exchange CAD data using various neutral and proprietary file formats. SYCODE also offers customized add-in development services to SpaceClaim customers. Read more about Sycode and its products for SpaceClaim users. Tech Soft 3D is the leading independent provider of 2D and 3D software development components to the engineering software industry. The company provides premier development tools, training and consulting that enables SpaceClaim to rapidly deliver world-class technical software. TraceParts is a leading digital engineering 3D content company, offering customers progressive business solutions through powerful web-based products and services. SpaceClaim's product line includes a standard parts library supplied by TraceParts. This library is a comprehensive list of manufacturers' and industry-standard parts seamlessly integrated into SpaceClaim. Users can choose components from a variety of leading parts-supplier catalogs and place them directly in their designs.